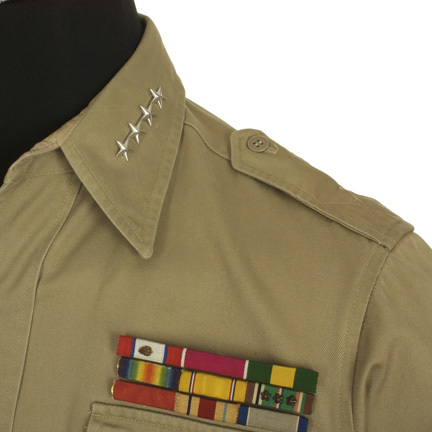 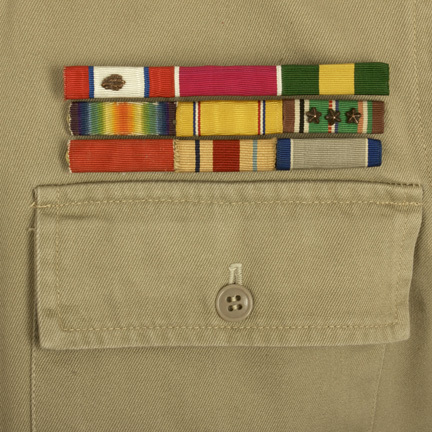 This officer's shirt was worn by the character "Gen. Eisenhower," portrayed by actor Robert Duvall, in the 1979 television miniseries, "Ike: The War Years." 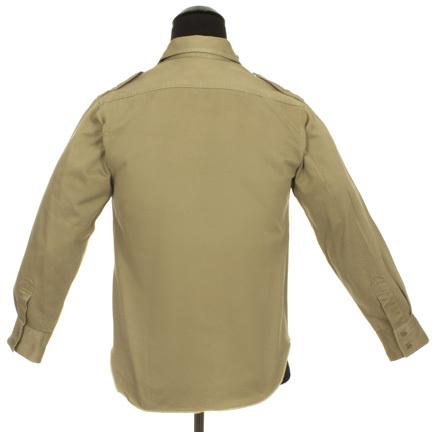 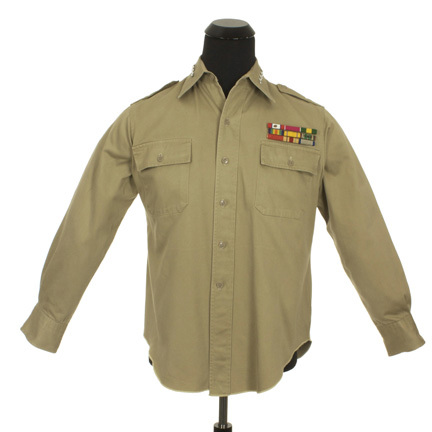 The khaki cotton Army officer's shirt has been professionally restored with military insignia identical to those seen in the series. 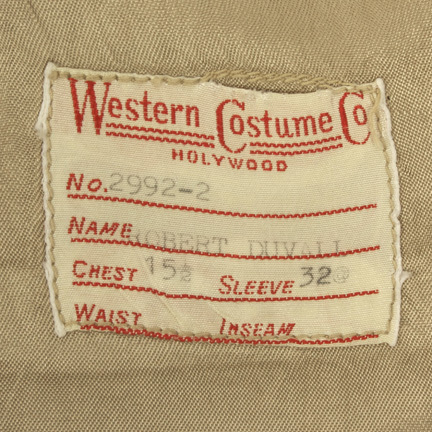 The interior of the garment has the original Western Costume Company label sewn inside with the name "Robert Duvall" clearly typed in black ink. 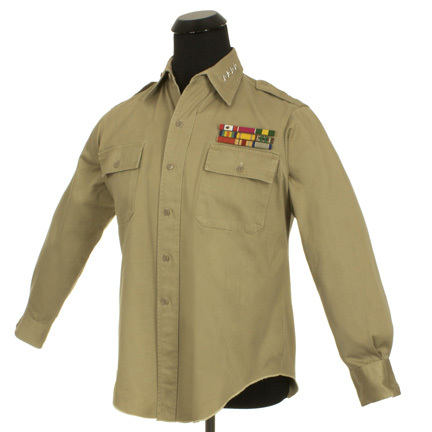 Mr. Duvall wore this shirt in multiple scenes throughout both parts of the miniseries, wearing both with and without the military insignia. 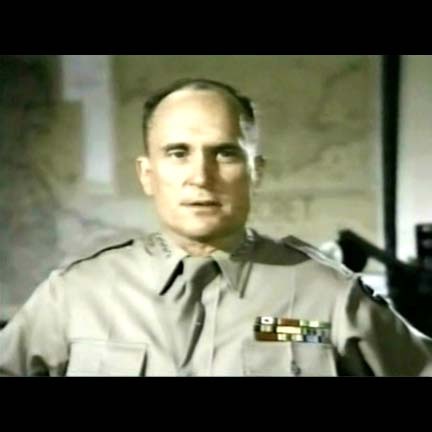 "Ike: The War Years" was a television miniseries about the life of Gen. Dwight D. Eisenhower (Duvall). 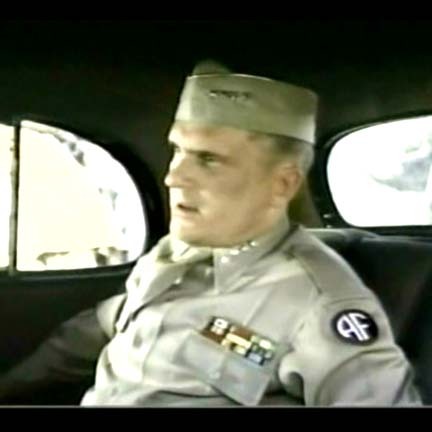 The film focuses on the military man and his relationship with other war-time leaders and, very discreetly, his personal relationship with his driver, Kay Summersby (Lee Remick). 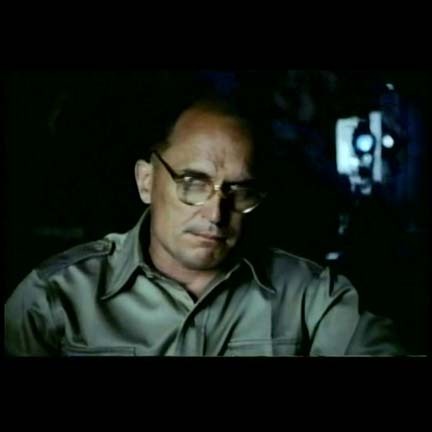 The miniseries was nominated for five Emmy Awards.